You can see lots of scales or chords on the fretboard. Change the key, scale, chord, tuning and see the changes immediately on fretboard and circle of fifths. Lots of scales and chords. All basic and advanced ones. 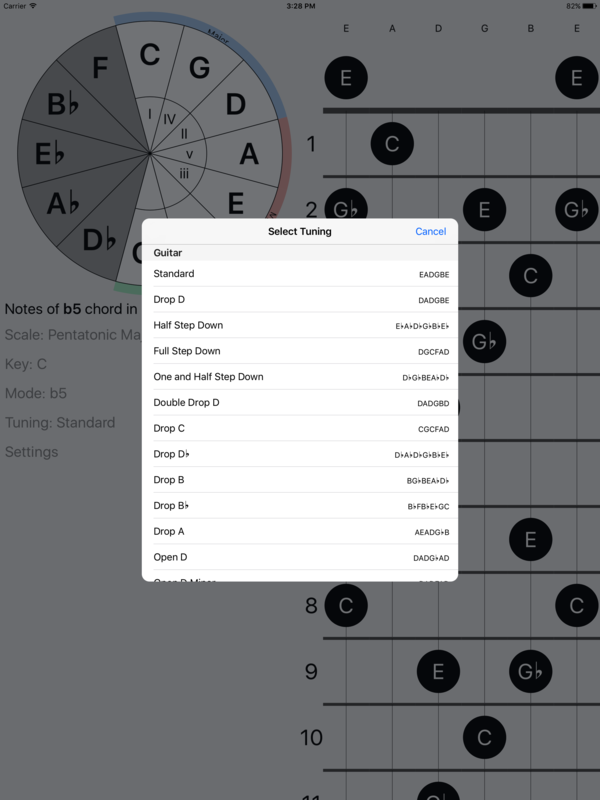 FretBud has lots of built-in tunings you can directly use. You can either use most common guitar, bass or ukelele tunings or create your custom ones. 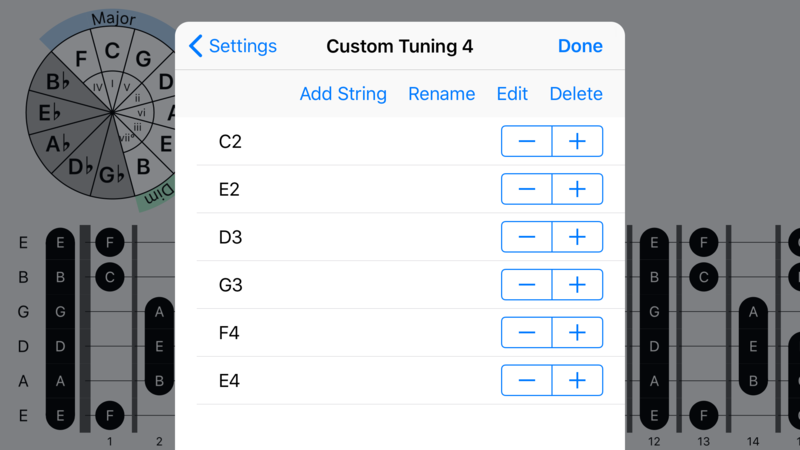 You can use built-in tuning creation tool to create your custom tunings. Add it any number of strings you want. Assign open notes to strings with any octave you want. FretBud offers its core componets on Github. They are all shared libraries for iOS, macOS and tvOS platforms, written in Swift. A music theory library with Note, Interval, Scale and Chord representations in Swift enums. Fully customisable IBDesignable circle of fifths implementation in Swift. Fully custumisable IBDesignable fretboard view for iOS, tvOS and macOS. There are other great music theory apps available. 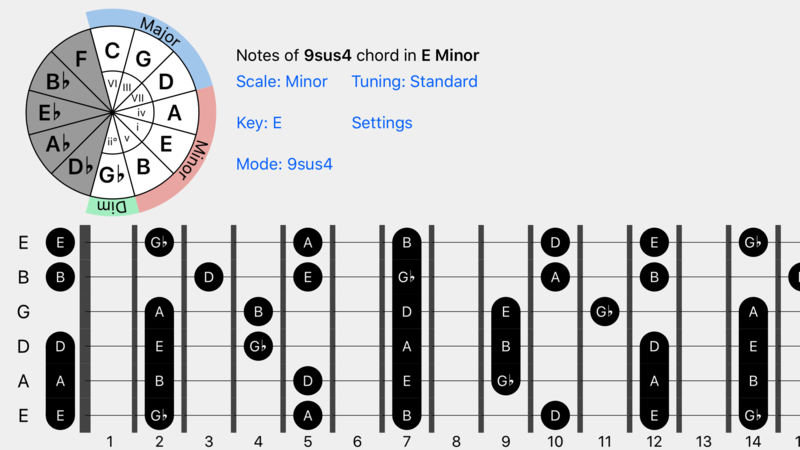 A music theory app that shows you lots of scales and chords with lots of features. 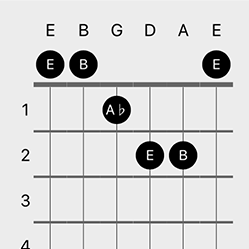 A music theory app for guitar, bass or any kind of instrument player with frets. A powerful chord progression app with built-in MIDI sequencer. MIDI Sequencer and Arpeggiator for iOS. AUv3 MIDI Music Theory Keyboard for iOS. AUv3 MIDI Sequencer for iOS.